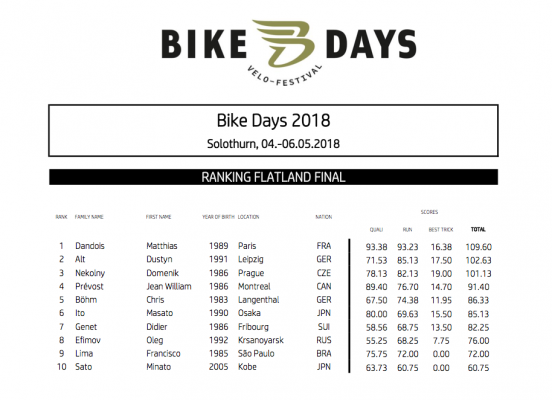 Flatmattersonline - Matthias Dandois wins Bike Days 2018! 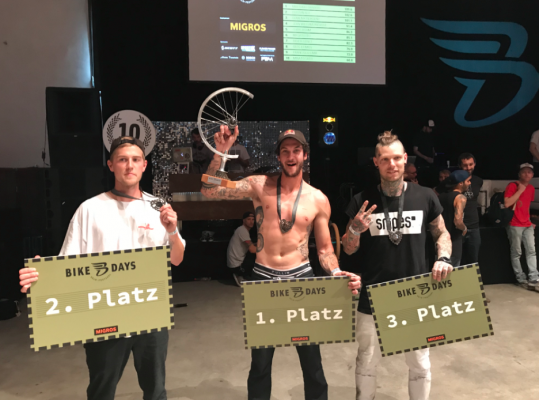 Matthias Dandois celebrated his 29th birthday in style winning the Bike Days 2018 contest in Solothurn, Switzerland followed on the podium by Dustyn Alt who had an amazing run and banger trick, Dustyn was followed by Dominik Nekolny on the podium. It’s been a great weekend in Switzerland, one of the best contest floors of the year and always good vibes.